Scroll, double tap, scroll. Repeat. This describes our daily habit as we operate without even thinking while subconsciously comparing ourselves to glimpses + fake images of both friends and strangers. With social media acting as the number one addiction, learning to love yourself in real life can seem almost like an impossible task. 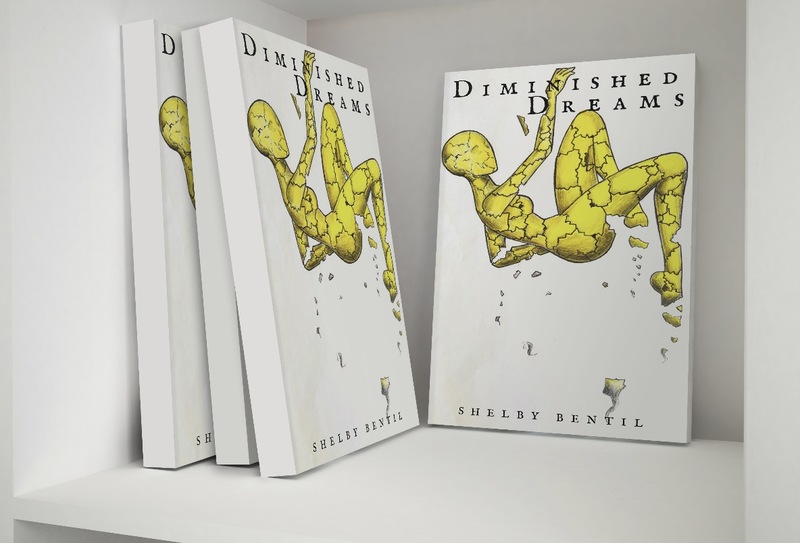 Young + thriving author Shelby Bentil shares an impactful story of a teen girl struggling to discover herself + dreams in her first book, Diminished Dreams. Get to know how Shelby was inspired to create this story and how it represents numerous girls learning to love themselves while going after their dreams! Your new book Diminished Dreams is a fiction story that shares the journey of a teen girl + her struggles after she finds out about her pregnancy. What inspired the story line of your book? My inspiration behind Diminished Dreams is actually pretty complicated. I created the story at the age of 16 and at that time my focus was making the character this deranged teenager who became fed up with everyone hurting her and turning their back on her. This was actually an issue I was dealing with at the time. During my teenage years I experienced so much hurt that I channeled all of it into the character Castel. Now over the years, as I developed emotionally, mentally and spiritually, Castel’s story evolved and I used the character to express only that small part of me. If you notice in the book, Castel is constantly trying to be the positive one and give people chances regardless of how they betray her. In the first draft this was not the case. Castel was actually out to destroy everyone. How important is it for young females to be proactive when it comes to attacking their goals rather than simply reacting from what their environment gives them? For me being proactive and focusing on your goals should always be number one on your to do list. Now don’t get me wrong I know it can become very difficult to not react to what happens in your environment, I myself had to learn the hard way. It took me years to realize I couldn’t fight the world and I am still working on what to give my energy to. What I’ve learned is the more I focus on who I see myself becoming the more I tune out the negativity in my environment. Getting a grip of who you are as a girl is tough due to a collage of media, school, life’s pressure, & the list goes on. How did you relate to the main character in your book when it came to understanding true self-love? Castel is me. Well part of me. 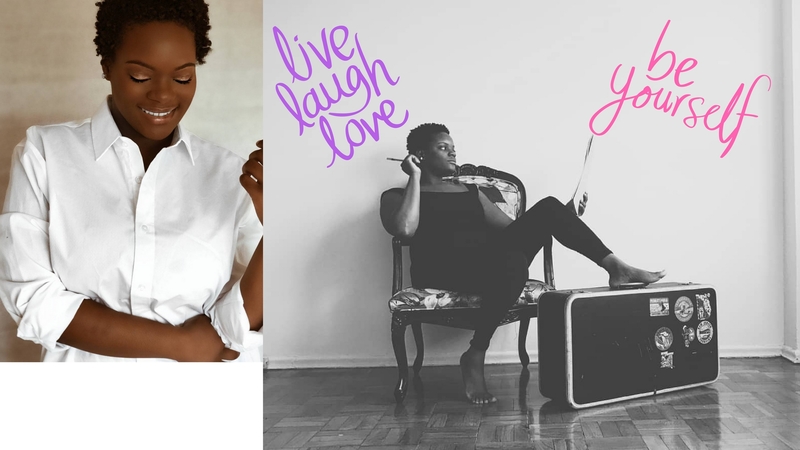 As I became a woman and learned self-love I transformed her story to reflect that. This is why in the book she grows the way she does. She goes from this girl who is so wrapped up in pleasing others and living how she is told to putting more focus on doing what is best for her and cutting the strings of control. As a girl do you feel like it’s pressure in high school + college to conform to be accepted in different areas of your life? For example do you believe you have to be a completely different person with your boyfriend than you are with your parents or friends? Oh, absolutely there is pressure to conform if you want to be “accepted.” Ironically, as I got older I found myself conforming in different ways than when I was a teenager or a child. For example when I was a child and a teen my main struggle with conformity was the pressure to be “tough.” Growing up in an urban environment, if you were not tough or getting into fights then you were an easy target for bullying. This resulted in me actually turning into a bully and being a very angry and mean child just to have a voice among my peers. As a young adult the levels of conformity transformed into what I looked like, who I dated, what I believed and more. It wasn’t until about several years ago that I really started to embrace me just the way I am. 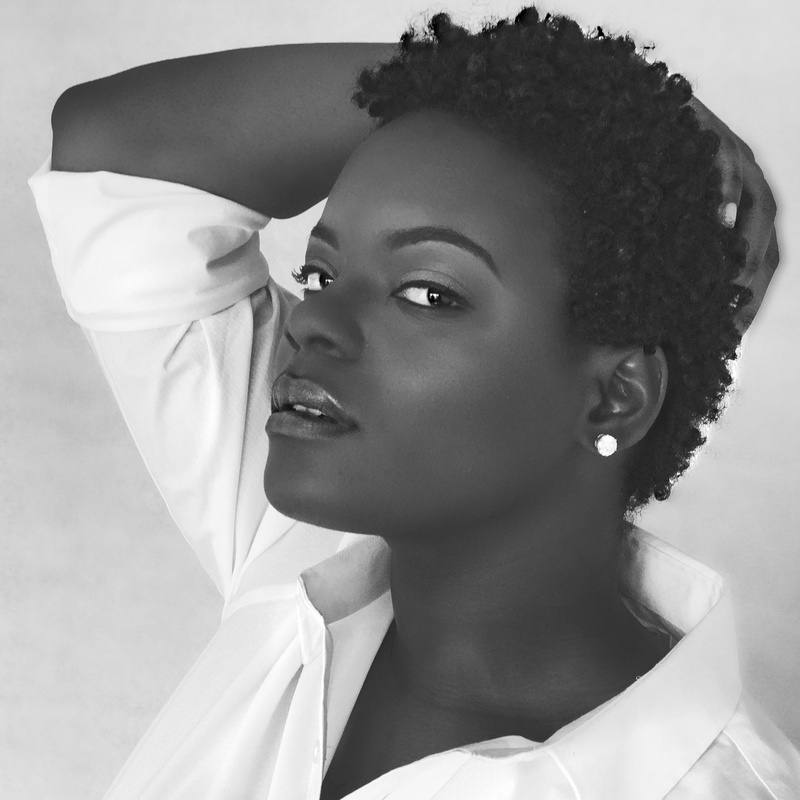 This started with my big chop. Cutting my hair during the “long hair don’t care” movement was a very significant moment for me because I was finally breaking away from labels and other people’s opinions. What’s one way girls can block out the noise of distractions early on and embrace their insecurities instead of trying to bury them? As a young girl what I found most helpful to avoid distractions was getting lost in a hobby connected to my passion, which was writing. Going back to one of the previous questions, your reactions to your environment can really make you or brake you, so for me taking out a pen and my journal to write down what would have gotten me in trouble, allowed me to express myself, move on from an issue and keep pushing forward to my goals. Girls need to find outlets that are not friends, boyfriends or social media but hobbies that will help them discover their seed of greatness. From baking to sports, anything positive and productive will help them keep their head afloat. In terms of insecurities, I understand that is a lot more difficult to deal with because it has to deal with loving yourself. Self-love is easier said than done especially with this wave of social media that pretty much every female you look at appear to be exactly the same. What I believe is most helpful is to always keep positive sayings around to read and tell yourself something positive everyday. When we speak to ourselves positively we feel and live a positive life. 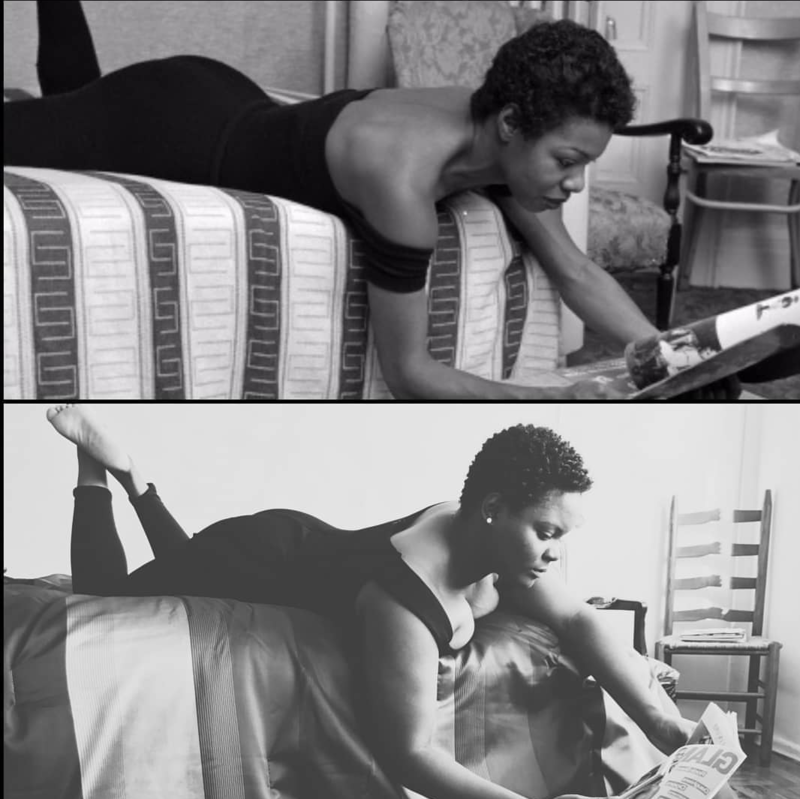 How does writing allow you to go deeper into yourself and grow as a person? Writing allows me to awaken my creativity. When I write there are no boundaries, no rules. I can create a whole world based on my thoughts and events in my own life. The more I think, the deeper I dig into myself and it amazes me the where my mind wonders off to when I glide my pen on paper. Writing opens this door to an unknown place that only I have access to and from there I begin to challenge what I know and who I am until I reach the next door to the next unknown place, which will lead me to another path of understanding. Check out more of Shelby here! This entry was posted on Monday, February 26th, 2018 at 1:50 am	and is filed under Relationships, Latest.